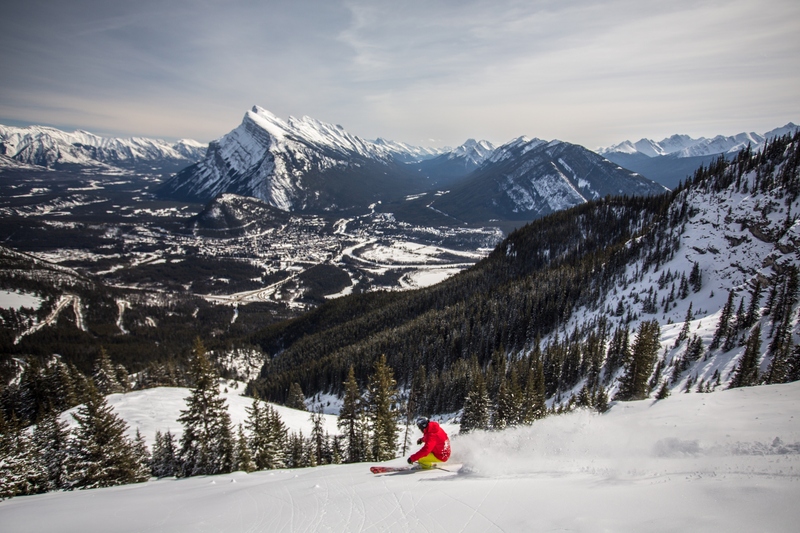 Banff (AB), Canada – As the three ski resorts operating in Banff National Park prepare to open for the season in November (or in the case of Mt. Norquay, perhaps even earlier), they’ve put some new offerings on the table for guests arriving this winter. And American travelers should note that there’s a favorable exchange rate right now on the Canadian dollar. 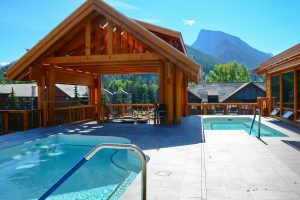 What’s more, winter is “off-season” in Banff, so expect to find savings of up to 67 percent off room rates during ski and snowboard season, when compared with summer rates. Ski Banff-Lake Louise-Sunshine’s Tri-Area Lift Ticket now affords free admission to the historic Banff Hot Springs. In 1883, three railway workers discovered a natural hot spring that ultimate brought rise to the founding of Banff National Park. In the early years, travelers lured by the healing minerals of the hot springs journeyed to the area via the Canadian Pacific Railway. Now visitors can soak up these benefits after a day on the slopes. With the purchase of a three-plus day lift ticket, skiers and riders receive complimentary access to famed Banff Hot Springs. Find the best snow, best terrain and best views at Mt. 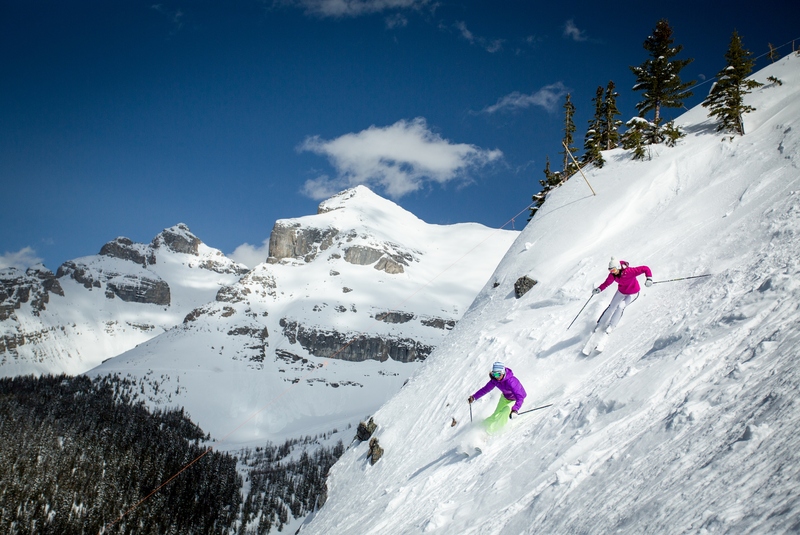 Norquay, The Lake Louise Ski Resort and Sunshine Village with a guided coaching experience this winter. Choose a three-day group program or private guided experience and discover the very best of these three unique mountain resorts. SkiBig3 Guided Experiences match guests with a local snow pro, guaranteeing insider access to favorite terrain, secret snow stashes, and top-line views. Also enjoy lift line priority, boost skills, and gain the inside scoop for finding those hidden gems. Banff National Park, Canada’s first national park and UNESCO World Heritage Site, is the perfect destination to celebrate Canada’s 150th birthday. Encompassing 6,641 square kilometers in the heart of the magnificent Canadian Rockies, Banff National Park will grant free access to all Canadian and international visitors in 2017. Discover Banff’s newest independent 4-star hotel, The Moose Hotel & Suites, located just minutes from the heart of downtown Banff. The Moose offers modern mountain elegance with a moose in each room – a perfect ski vacation home base with a twist. Following a day on the slopes, head to the Rooftop Health Club to bask in spectacular views of the surrounding mountain peaks. Featuring a bright indoor swimming pool, exercise room, two outdoor hot pools and a cozy sauna, this unique rooftop experience is the perfect way to unwind and après. 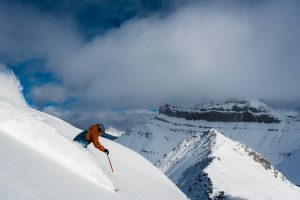 Ski and stay packages are available online at SkiBig3.com. Watch the world’s fastest racers once again begin the World Cup speed circuit at The Lake Louise Ski Resort. This is the only World Cup stop outside of Europe to join the ranks of the famous Club 5 Ski Classics. The Lake Louise Alpine Ski World Cup is one of the select few that hold both the men’s and women’s speed events on the World Cup circuit and plays host to the first Audi FIS Ski World Cup downhill and super G races of the 2016-2017 season. This is the only event of its kind in Canada and it is broadcast to a global audience in excess of 184 million. Men will run the gates November 26-7, followed by the women December 2-4. Grab a Mountain Collective Pass and discover the best of Western Canada. 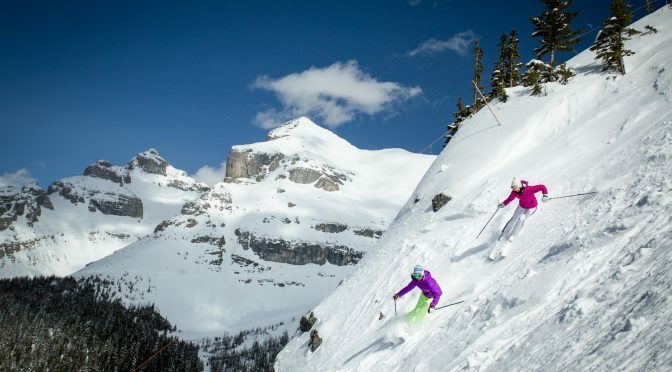 Fly to Calgary and spend two ski days exploring Banff and Lake Louise in the famed Canadian Rockies, then head west into British Columbia and take on two days of the steep and deep trees of Revelstoke Mountain Resort. Round off this Western Canadian road trip with two days of coastal skiing at Whistler Blackcomb. Each Mountain Collective pass is essentially a lift ticket that includes two days of skiing and snowboarding (and 50 percent off additional days) at each partner destination with no blackout days. Telluride and Revelstoke join the line-up this winter that also includes, Alta/Snowbird, Aspen Snowmass, Banff-Lake Louise-Sunshine, Jackson Hole, Mammoth, Stowe, Sun Valley, Squaw Valley-Alpine Meadows, Taos, Thredbo (Australia), Coronet Peak-Remarkables (New Zealand) and Whistler Blackcomb. Global affiliate destinations include Hakuba Valley (Japan), Chamonix (France) and Valle Nevado (Chile).